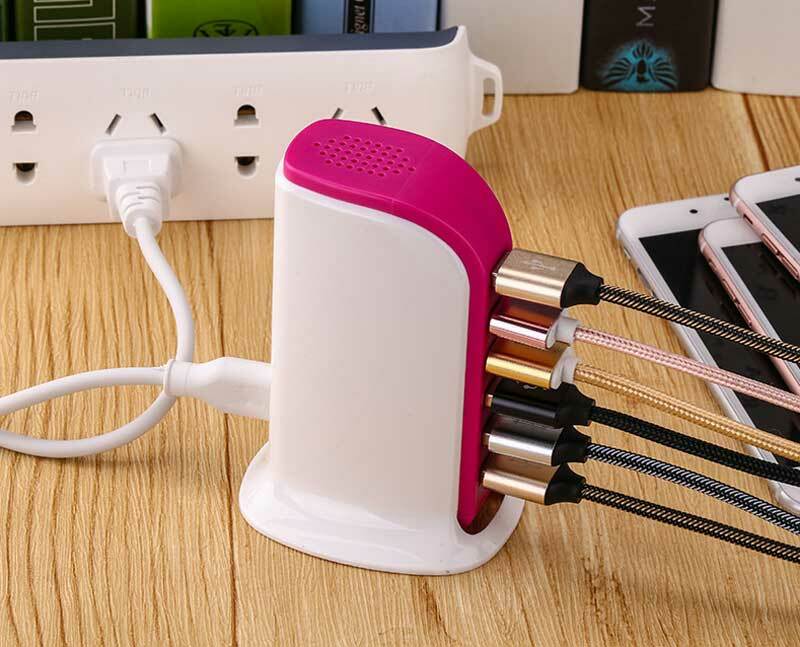 Charge all your phones, power banks, cameras and other devices at the same time without running around looking for more plug points. 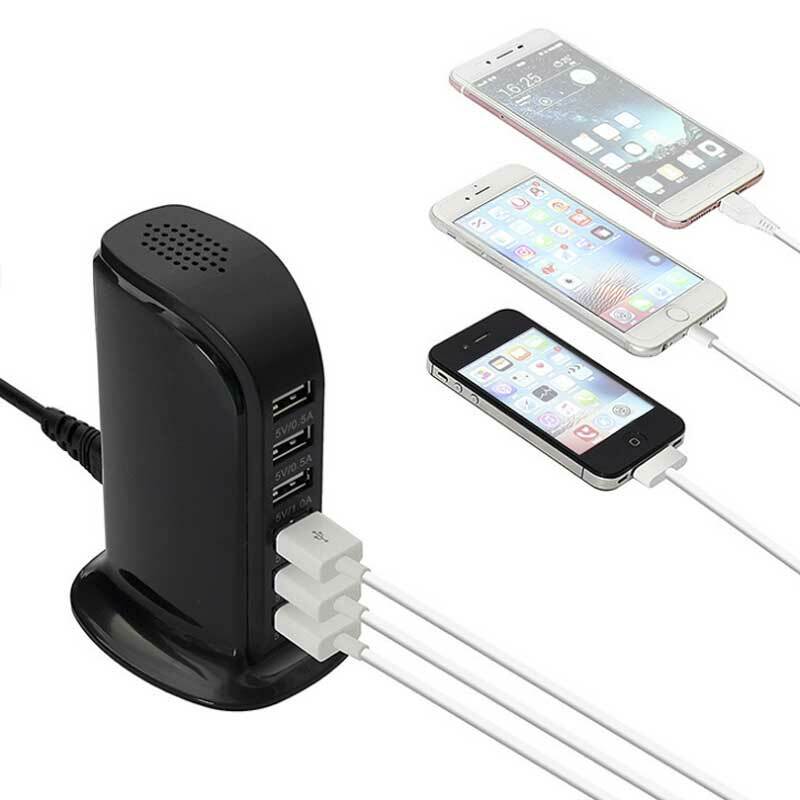 This wonderful little device that comes with 6-USB hubs that can charge 6 devices all at once! 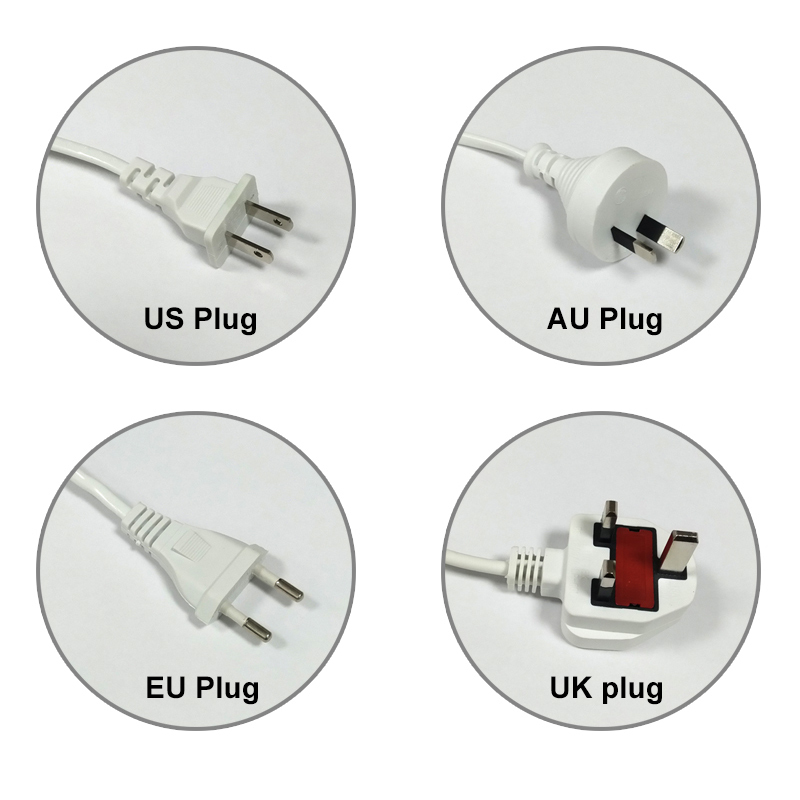 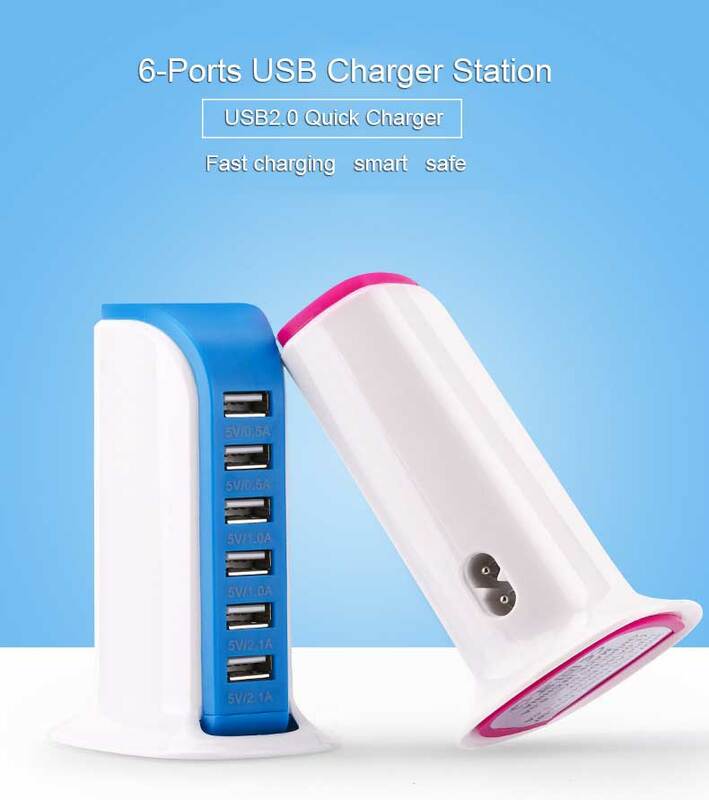 Easy charging accessibility for all at once, at one place! 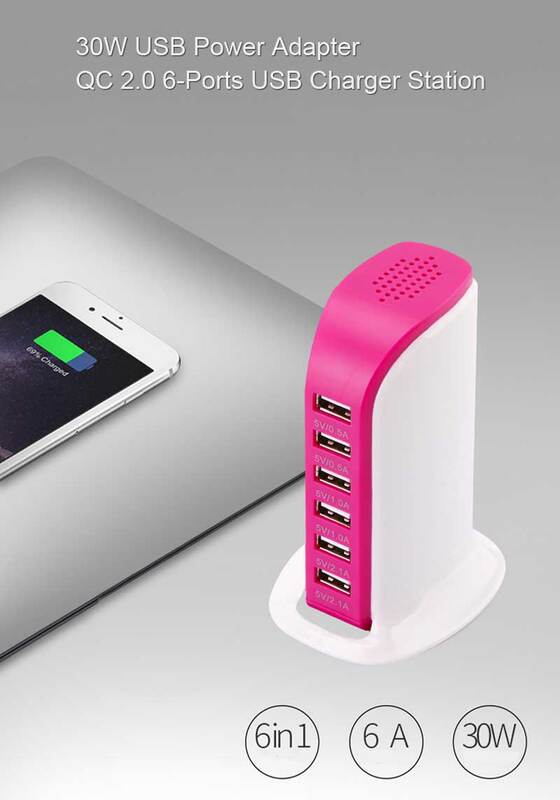 6-Port USB Charging Station's unique stylish design simplifies your home or office décor by eliminating your messy clutter of chargers and wires. 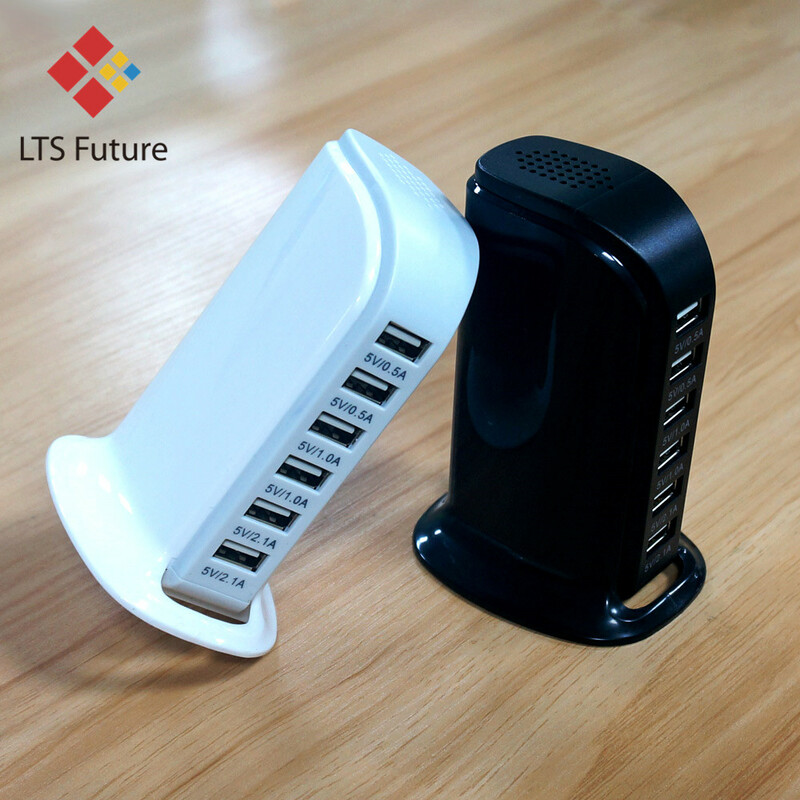 The charging station combines all your charging needs into one simple neat charging location. 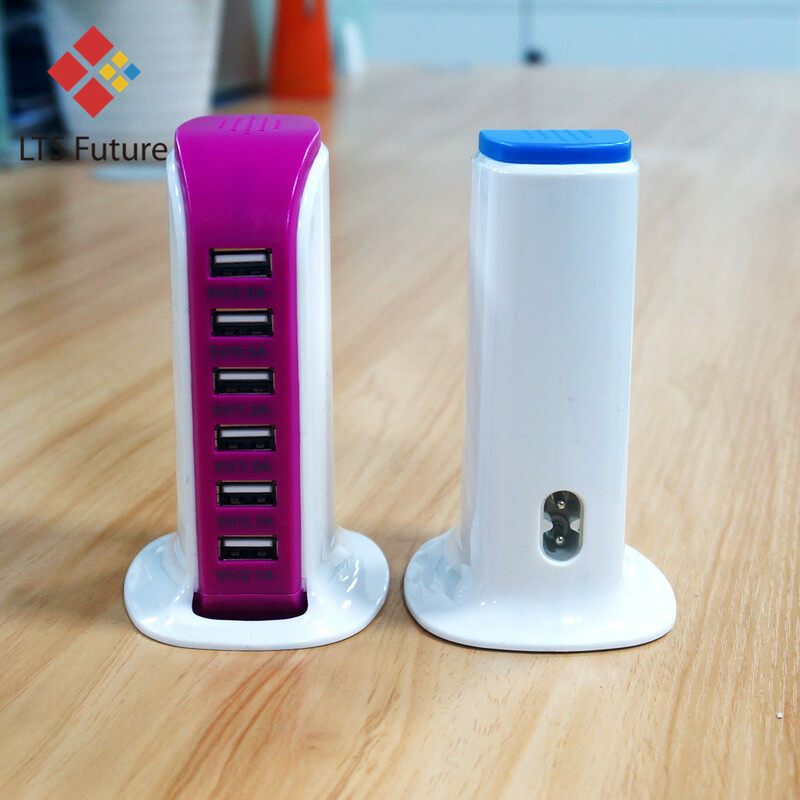 The 6-Port USB Charging Station also has a secure bottom base in order to ensure stability even when using all 6 USB ports.